A custom bone pen imprinted with your brand name and logo will surely grab the attention of both adults and kids. It is always a good idea to use children as brand promoters. But while choosing the promotional item, the advertiser has to be careful about the article as it should be potential enough to catch the attention of both kids and adults alike. Then only the brand promotion will attain maximum success. A promotional bone pen with your brand name imprinted on it certainly serves this purpose. These are unique gifts for kids and adults. These are CPSIA compliant safe toys for kids. It size is 5 ¼ inches and offer enough space to imprint the brand name on to it. 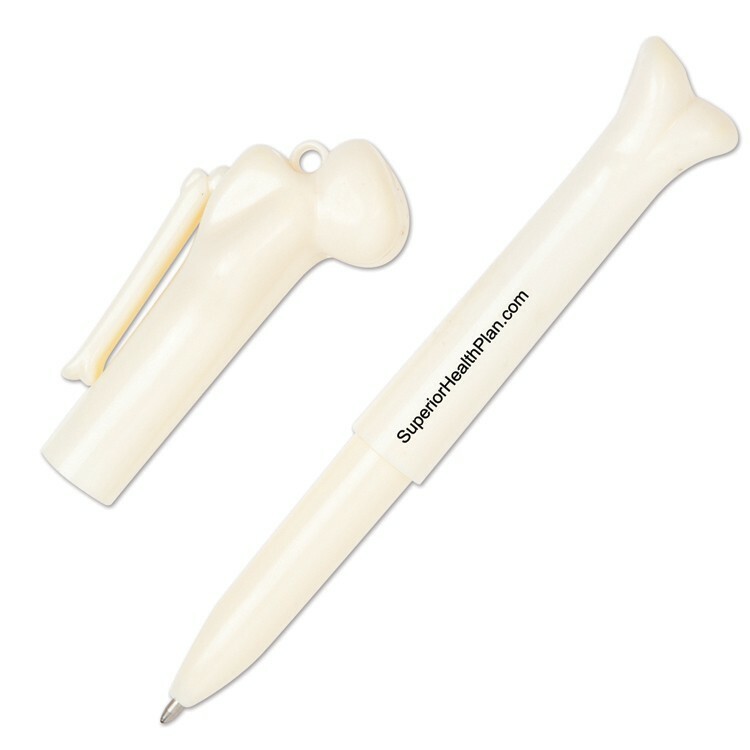 The personalized bone pen is an ideal gift for hospitals, health care industries, book shops, pet shops etc. Imprint Area : 1 5/8" X 3/16"
Product Size : 5 1/4"